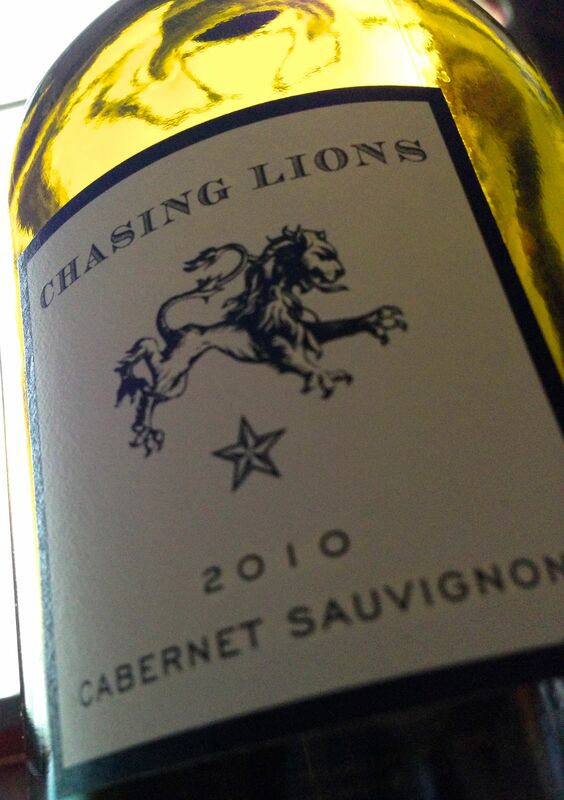 Our second take on the Chasing Lions 2010 Cabernet Sauvignon, a red blend from Napa Valley, California. Nice reward for a day of hard work, Lions comprises Cabernet Sauvignon (82%), Merlot (10%), and Petite Verdot (8%) and those who follow Notes will see immediately why it strikes a chord for this grape fan. Produced by Jim Ragusci (and some friends) of Ragusci Vineyards in Stag’s Leap, it’s aged 18 years in French oak–not necessarily my favorite approach but used to good effect here. Chasing Lions 2010 Cabernet Sauvignon, Napa Valley, California, USA. Looks like my first impression wasn’t too far off and, though I don’t get the raspberry note at all in my tasting, you might be interested to reflect back on those observations as I myself did. Still think the smooth finish and the easy comfort of the Chasing Lions 2010 Cabernet Sauvignon, North Coast make it a great addition to your meal. This entry was posted in Cabernet Sauvignon, Red blend and tagged california winemaking, napa valley california, USA.